The most critical reason has been resources. Between 2002 and 2008 the United States never provided the forces, money or leadership necessary to win, effectively wasting more than half a decade. Our country left a power vacuum in most of Afghanistan that the Taliban and other jihadist insurgents could exploit and occupy, and Washington did not respond when the U.S. Embassy team in Kabul requested more resources. The Bush administration gave priority to sending forces to Iraq, it blustered about the successes of civilian aid efforts in Afghanistan that were grossly undermanned and underresourced, and it did not react to the growing corruption of Hamid Karzai's government or the major problems created by national caveats and restrictions on the use of allied forces and aid. It treated Pakistan as an ally when it was clear to U.S. experts on the scene that the Pakistani military and intelligence service did (and do) tolerate al-Qaeda and Afghan sanctuaries and still try to manipulate Afghan Pashtuns to Pakistan's advantage. Further, it never developed an integrated civil-military plan or operational effort even within the U.S. team in Afghanistan; left far too much of the aid effort focused on failed development programs; and denied the reality of insurgent successes in ways that gave insurgents the initiative well into 2009. The appointments this summer of Karl Eikenberry as ambassador to Afghanistan and McChrystal as commander of U.S. and allied forces have created a team that can reverse this situation. 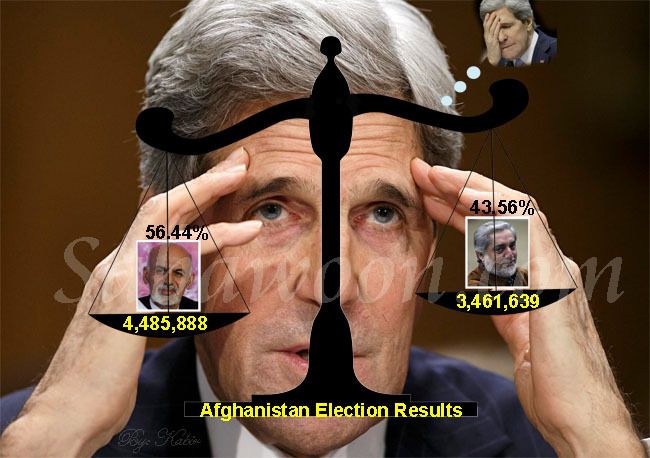 In fact, given the rising unpopularity of the war and Taliban successes, they are our last hope of victory. Yet they can win only if they are allowed to manage both the civil and military sides of the conflict without constant micromanagement from Washington or traveling envoys. They must be given both the time to act and the resources and authority they feel they need. No other path offers a chance of a secure and stable Afghanistan free of terrorist and jihadist control and sanctuaries. I do not know what resources Eikenberry or McChrystal would seek if given the chance. Eikenberry has indicated that funding of the civil side of the U.S. Embassy effort in Afghanistan is about half of what is necessary: Some $2.1 billion more may be sought to meet a $4.8 billion total need. He will almost certainly need far more civilians than the token "surge" that is planned (and that will not produce its full results until the spring or summer of 2010). McChrystal has not announced a need for more U.S. troops, but almost every expert on the scene has talked about figures equivalent to three to eight more brigade combat teams -- with nominal manning levels that could range from 2,300 to 5,000 personnel each -- although much of that manpower will go to developing Afghan forces that must nearly double in size, become full partners rather than tools, and slowly take over from U.S. and NATO forces. Similarly, a significant number of such U.S. reinforcements will have to assist in providing a mix of capabilities in security, governance, rule of law and aid. U.S. forces need to "hold" and keep the Afghan population secure, and "build" enough secure local governance and economic activity to give Afghans reason to trust their government and allied forces. They must build the provincial, district and local government capabilities that the Kabul government cannot and will not build for them. No outcome of the recent presidential election can make up for the critical flaws in a grossly overcentralized government that is corrupt, is often a tool of power brokers and narco-traffickers, and lacks basic capacity in virtually every ministry. Unfortunately, strong elements in the White House, State Department and other agencies seem determined to ignore these realities. They are pressuring the president to direct Eikenberry and McChrystal to come to Washington to present a broad set of strategic concepts rather than specific requests for troops, more civilians, money and an integrated civil-military plan for action. They are pushing to prevent a fully integrated civil-military effort, and to avoid giving Eikenberry and McChrystal all the authority they need to try to force more unity of effort from allied forces and the U.N.-led aid effort. If these elements succeed, President Obama will be as much a failed wartime president as George W. Bush. He may succeed in lowering the political, military and financial profile of the war for up to a year, but in the process he will squander our last hope of winning. This would only trade one set of political problems for a far worse set in the future and leave us with an enduring regional mess and sanctuary for extremism. We have a reasonable chance of victory if we properly outfit and empower our new team in Afghanistan; we face certain defeat if we do not. The writer holds the Arleigh A. Burke Chair in Strategy at the Center for Strategic and International Studies. The views expressed here are his own.